I'M back from a great five-day break to Tenerife and although there are plenty of matches tonight from the UK and across Europe I've seen better cards with games looking really tough to call. I'm sticking to two sides to deliver goals against weaker opposition as Arsenal host lowly Cardiff and Aberdeen travel to Stenhousemuir in their Scottish Cup replay. It was a disappointing result for the Gunners at the weekend as Manchester United ran out easy 3-1 winners against them. They have the perfect opportunity to put that result behind them as they welcome a struggling Cardiff City side who have only scored one goal in their last 6 games and look nailed on to be playing Championship football next season. The recent tragic events surrounding their missing new £15m player cant have helped their preparation for this match. Having scored just 6 goals away from home all season, I don't see Cardiff causing Arsenal too many problems – it's really a case of how many goals Arsenal will win by. Looked at Arsenal over 2.5 goals at 10-11 but going to side with match goals. It was an almighty shock when League One strugglers Stenhousemuir held Aberdeen away from home in the original tie. It was an inexcusable result for the Dons but I don't see lightning striking twice. Aberdeen are head and shoulders above Stenny in every department and will be fielding their strongest side against the part-time outfit. 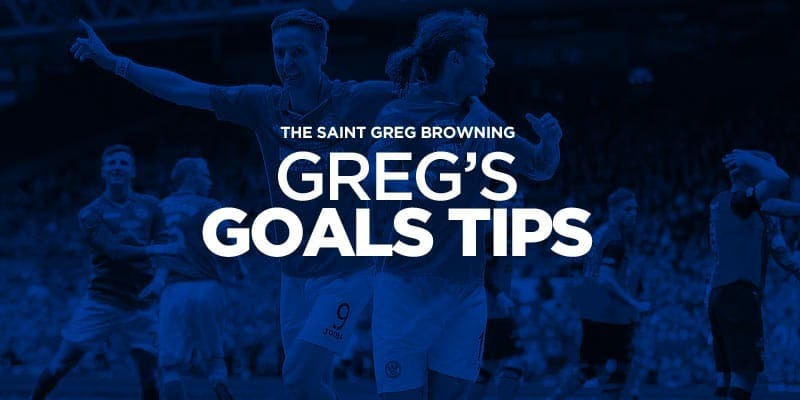 Sam Cosgrove is in great scoring form and should be looking to grab a couple against a Stenny side looking like they will be playing League Two football next season. Should be a comfortable win for Derek McInnes's Aberdeen side – but we all said that the last time! I'm also having some loose change on the 11 matches from the English Championship, League 1 and League 2.